Whitfield’s mathematics curriculum builds confidence as well as competence in our students. Beginning in middle school, students learn to utilize a variety of problem-solving strategies that use math to model, predict, and make decisions about the world. In Middle School Geometry, students discover and work through many theorems. Recently, students constructed popsicle stick truss bridges as part of their study of triangles, trapezoids, and polygons. Working in small groups, students first researched different types of truss bridge designs before creating a plan for their projects. 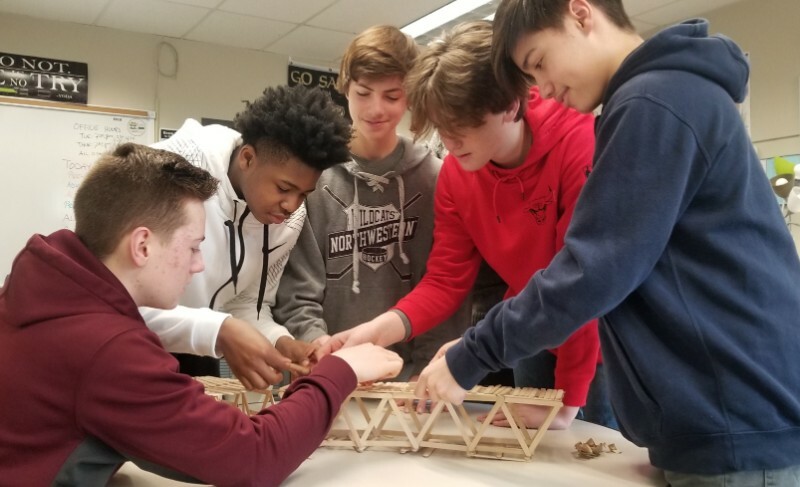 The bridges were made up of primarily congruent triangles but according to faculty member Dr. Brandon Haynes, several creative students incorporated polygons and other shapes into their designs.